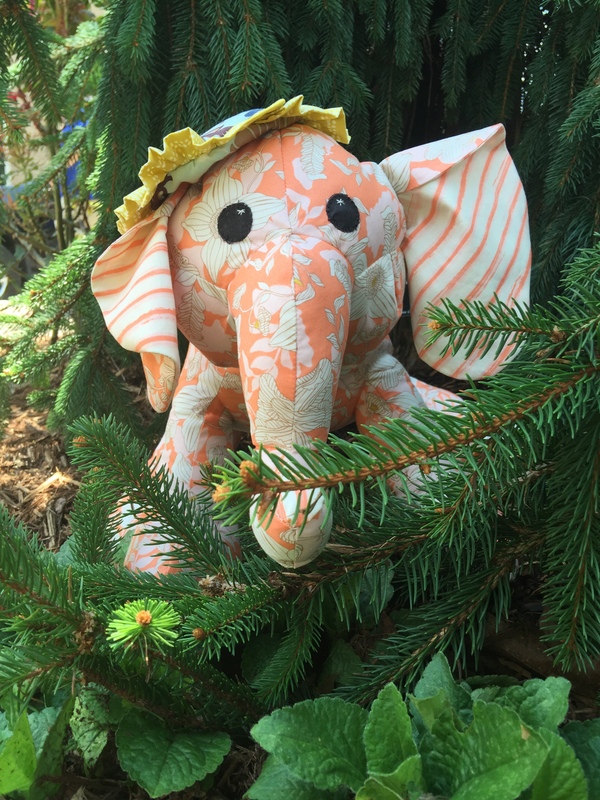 First, the elephant I made for the Cultivate in Fall Challenge with Art Gallery Fabrics won 2nd place. Woo Hoo! Thank you so much to everyone to voted. I wouldn’t have made it that far without you. Second, I finished a quilt that I started this past February. Yippee! A finish is always something to celebrate. I can’t show it to you yet. I’m waiting to mail it to the intended recipient. But, I’ll show it to you as soon as I can. Stitched in Color is hosting a Primary Mosaic contest featuring Lark Cottons. It sounded like a fun adventure. So, I took the time to create and submit two samples. I think it was a great idea to get us quilters to slow down and think about color, and it really was as fun as I expected. I didn’t make it into the top 10, but I really didn’t expect to. 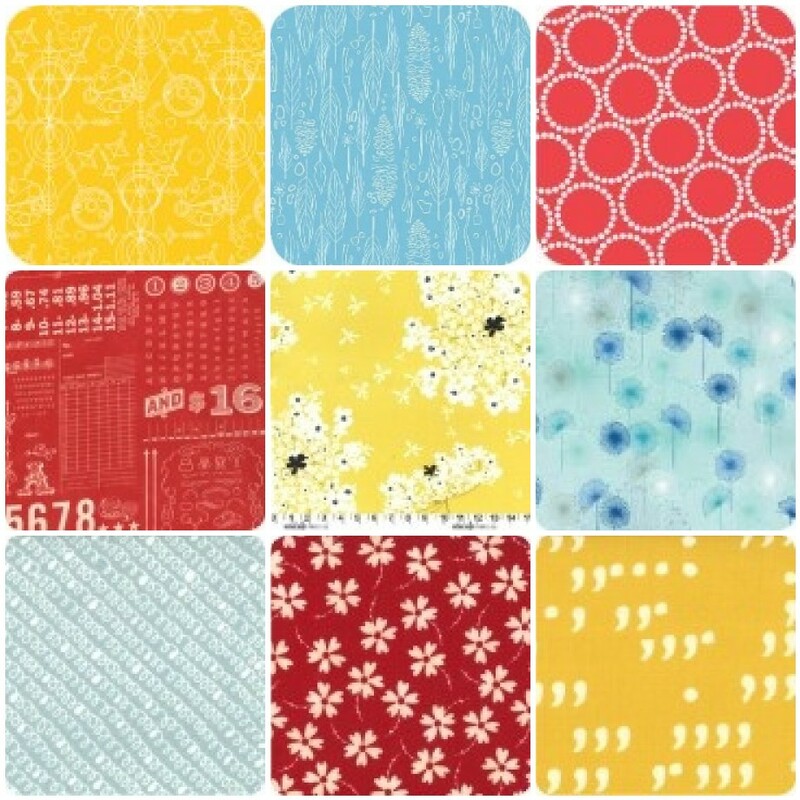 After I submitted my fabric choices (below), I read through the blog again and realized I didn’t get the gist of what she was looking for the first time around. That will teach me to try to do something like this when I’m tired and trying to listen to the TV at the same time. But that’s ok. 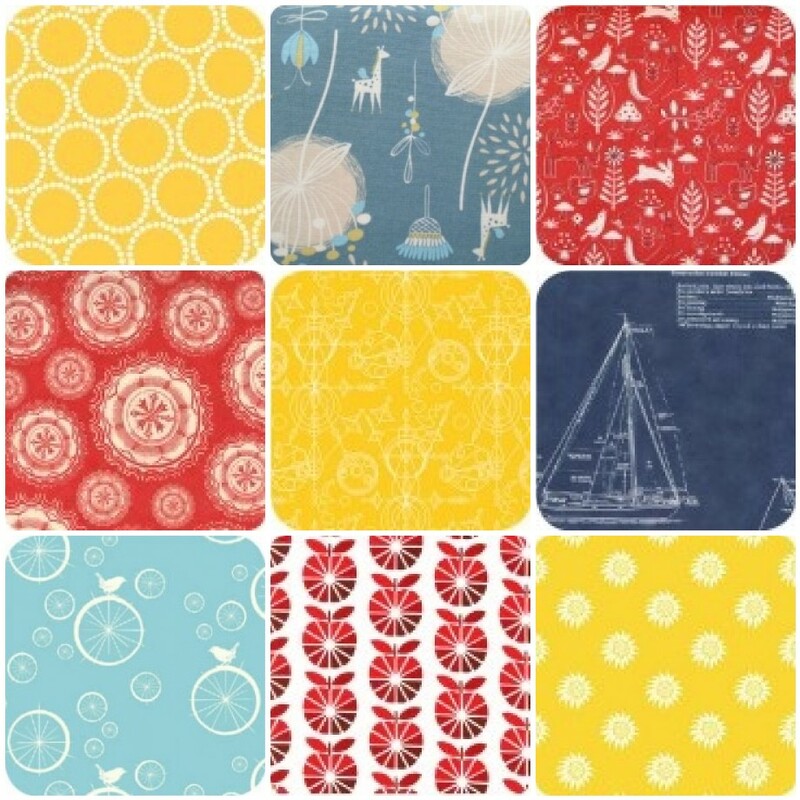 I still like what I picked out, and I LOVE the navy fabric with the sail boat schematic, and the blue dandelions, and the blue giraffes… Voting starts today so head on over to Rachel’s blog and vote for one of your favorites. I also have the front and back of the Long Star quilt for my middle son completely pieced. It should finish to be about 70″ x 90″. Now to iron it really good (somehow on my 2 foot portable desktop ironing board), and get my sandwich pinned together. My plan for quilting is nothing too complicated. 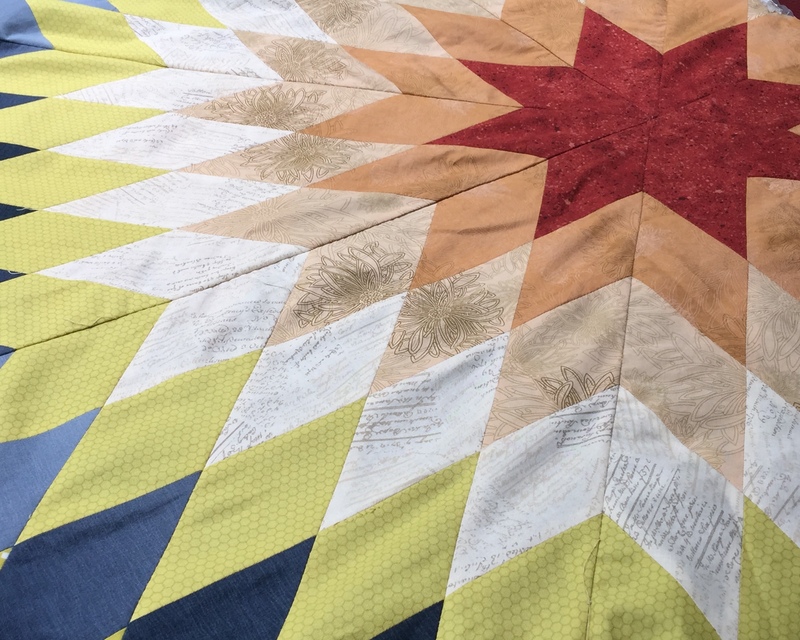 I plan to straight line quilt following the lines of the diamond pieces, which is a good thing since my machine is still skipping stitches if I try to FMQ as discussed here. I really need to get my machine serviced, but I can’t figure out when I’ll have time. I am in the mist of too many projects at the moment. And there’s more going on. But really, I don’t want to overwhelm you. Lee at Freshly Pieced for WIP Wednesday. 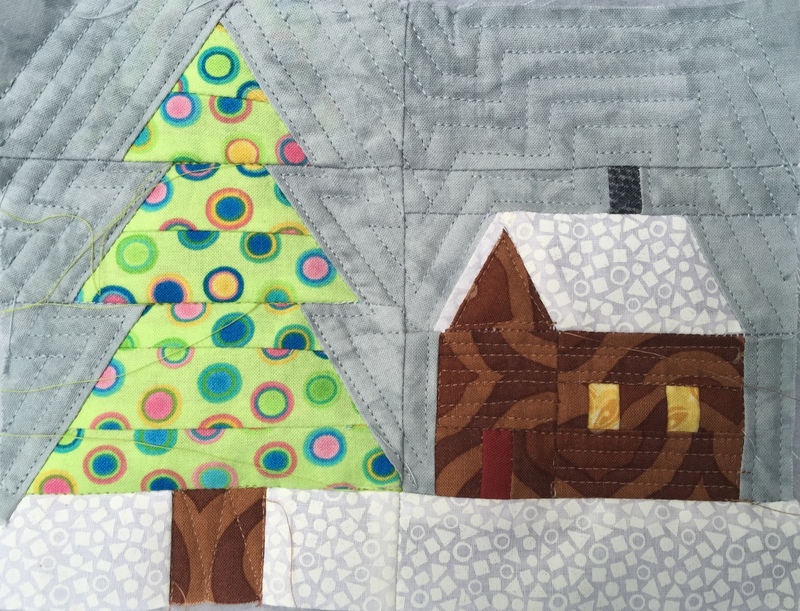 This entry was posted in Quilting/Sewing and tagged 2nd place, agf, art gallery fabrics, benefit, cabin, Christmas, Cultivate in Fall Challenge, Lark Cottons, lone star, mug rug, paper piecing, tree, won by monkeyneedle. Bookmark the permalink. These are all lovely projects. Congrats on your win! Love the elephant, too cute! The mug rug turned out beautifully! Lots going on in your sewing room. That’s a very cute mug rug. Sorry to hear about your friend. And I agree about the fabrics, the giraffe one is especially appealing. I confess I still have about 7 projects on the go!